It was bound to happen, SLA for everyone. RobHopeless over at Instructables.com has recently posted a quite complete description of a DIY stereolithography (SLA) system. SLA was one of the first systems commercially available to early makers. SLA is part of a group of technologies often called “rapid prototyping” and recently being called Additive Manufacturing or Additive Fabrication. “I have wanted a 3D Printer for a while now and there are some very reasonably priced kits available like the Makerbot, Ultimaker and the RepRap project. I could have just bought a kit and started printing things but at the time I had not seen great resolution or print quality from those. I started looking around at the other 3D printing technologies and found SLA made some amazing quality prints, so I decided to try making my own. Since I started this a while back those projects have come a long way and they can make some beautiful prints now. There are also people working on a UV resin and DLP projector 3D printer which is showing promise.” — Rob H.
We encourage you to check it out — Amazing! We are developing a sla 3DP based on visible light through an LCD display. for in house use only. 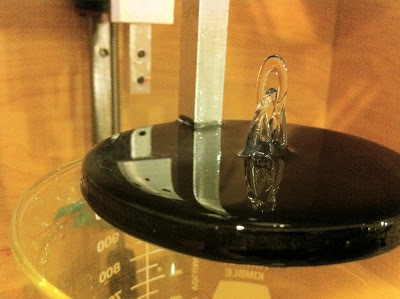 The question is, we rely on resin used by already producing this type of 3DP. or try to develop our resins? how we can buy these resins of these producers to test? Alvaro, sorry but we don’t have any experience with DLP or SLA resins.